Ladies Fitness & Wellness offers a variety of cardiovascular, strength, training, and flexibility classes to women of all abilities and fitness levels. Chooses a schedule that works for you from over 130 classes per month conveniently available between the hours 6:00am and 7:30pm. All classes are included free of charge with a membership! Drums Alive- Drums Alive® combines the benefits of a traditional physical fitness program with the brain affected benefits of music and rhythm. Drums Alive® is a program that fosters a healthy balance physically, mentally, emotionally and socially! Pound- A full-body cardio jam session, combining light resistance with constant simulated drumming. The workout fuses cardio, Pilates, isometric movements, plyometrics and Isometric poses into a 45-minute series. Burn calories, strengthen and sculpt infrequently used muscles, and drum your way to a leaner, slimmer physique – all while rocking out to your favorite music! 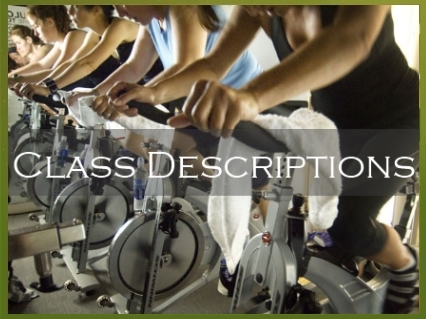 Spin Circuit- An intense cycling class with two off the bike intervals of varying formats. (1 Hour).